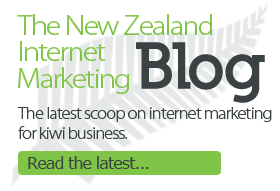 The System is designed to help New Zealand service businesses make the most of the internet. That means more leads, clients and profit. The average New Zealand website under performs and doesn’t generate new business. They get poor results because there is no system in place to promote and market the business. It doesn’t have to be like this. Increase profits and get bottom line results. Get leads that are the right fit for the business. Position the business (or business owner) as the number one expert in the market. Automatically market to prospects until they become clients. Build value so clients are eager to pay premium prices. Create client loyalty so they keep coming back and referring new business. Here’s a step by step overview of how they work. We want to bring in as many new leads as possible. We don’t want just any leads though, we’re after leads who are ideal clients for your business. 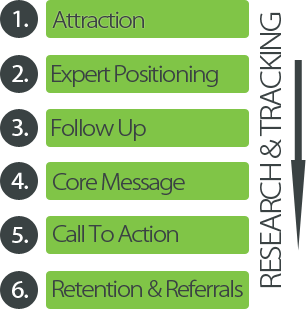 The attraction step is all about getting people to see your website (or other web properties). It’s the beginning of promotion. This includes being found at the top of search engine results (like Google where 92% of kiwis search), and connecting over social media (like Facebook which has 1.6 million users in New Zealand over age 18). Now we position your business as the number one expert in the market. Prospects looking for services are different than those looking for a product. They’re not going to get a box with a label that tells them what’s inside. Instead they’re buying your skills and your time. They need to trust you, and trust you will meet their needs. So we need to position you as trustworthy. We want to go a step further than that. We most like doing business with people who are experts. Authors, speakers and celebrities, are the people who are in demand and getting the highest fees. You don’t have to be internationally renowned, you just need to be known as an expert to your local prospects. Providing quality advice and information makes you an authority in the prospects eyes. On the internet we can do this through articles, blog posts, reports, videos, audio recordings, interactions on Facebook and Twitter, and many more ways. Just think, would you rather do business with someone you’ve never heard of, or the person who has articles and videos and tweets about their topic of expertise? Usually it’s a no brainer. Our system automatically markets to prospects until they become clients. On average prospects need to see your advertising seven or more times before they will remember you and do business with you. We can do this on auto pilot and virtually for free online. In the old days this meant you had to pay for a lot of repeat adverts. Now we can do it for free via email and social media. If your marketing plan only gives you one shot at selling to a prospect, it’s wasting a lot of money. Most people simply won’t become clients the first time they hear of a business. The real money is in following up with the client till they become clients (or indicate they’re not interested). Most businesses fall into the trap of talking all about themselves. Their website covers how long they’ve been in business, what they offer, how they do it, and all that stuff. Some of it is important, but only in the right place. What the prospect really wants to hear is all about themselves; their needs and wants. How you’re going to help them, and the benefits they’re going to get. At the right time we ask for the prospect to take action. We don’t ask too early when it would seem rude or pushy. On the other hand we also don’t forget to ask, like many weak advertisements. In our hurried, time poor world, we often put off decisions as long as possible. Making offers gets our prospects into gear and over the line of becoming a client. Bigger, more expensive services generally need a more personal sales approach, like meetings and consultations. The important thing is to make an offer to the client. Getting a new client is the hard work. But it’s only one way to make more profit. On average it costs five times more to get a new client than to sell to an existing one. Once we have a client we use our system to help keep them as a client. They continue to see our material which positions the business as an expert, and we continue to follow up with them. We work to make repeat sales or to keep them on a continuity programme. Now some businesses just don’t fit the repeat business model, but every business can do with more referrals. We put a plan in place to actively encourage and ask prospects to refer more business to us. It’s very easy for word of mouth to spread on the internet via social media. And when someone does get a recommendation, what is the first thing they normally do? They hit the business’ website to find out more about them. That’s perfect for us when the website is set up according to the Six Part System. The cycle perpetuates to bring in a steady stream of business. Research and tracking are the boring things that hold the whole system together. At the beginning it’s research that tells us who to target and what messages to target them with. It tells us what demographics to focus on online, and which search terms we need to rank for. An established business has the advantage of using their client base to survey for most of the research. Once the system is in place we need to optimise it by tracking the numbers. We can see what is working, and what isn’t. Which parts make money and which parts don’t. We then work on the things that are profitable. Using the Pareto Principle (also known as the 80/20 rule) we can focus on the few things that make the biggest difference and improve the system to be even more profitable. You can take this system and start putting it to work in your business right away. By now, it’s probably not surprising that I have a couple of free offers for you (if you’re a qualifying business). The first is my audio CD, Get Internet Smart which explains how to make the most from the internet in more detail. The second is a 30 minute phone consultation, so we can customise the system to your business and map out a plan for you. (There’s no obligation with either of the free offers. 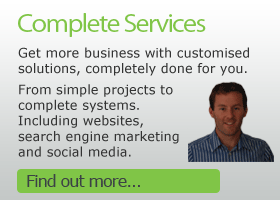 You can also find out more about the internet marketing services I offer. 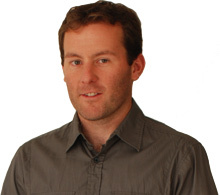 Luke Foster is the marketing geek who created the 6 Step Internet Marketing System.